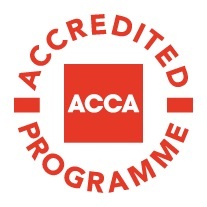 The Association of Chartered Certified Accountants (ACCA) has awarded a full 5 year accreditation to EADA’s International Master in Accounting & Finance programme. The accreditation, the first to be awarded to a programme in Spain, gives participants who successfully complete the programme, exemptions from 6 of the ACCA exams. Employees joining corporates and consulting companies in an accounting or auditing function are increasingly required to complete the ACCA suite of exams and the partnership between EADA and the ACCA will ensure EADA´s graduates have a competitive advantage.